Taking a coach to Malaysian cities has always been a popular option for Singaporeans. Most of the time, it's cheap, comfortable, and you can get to Kuala Lumpur in five to six hours. However, Stomper K and her fellow travellers did not expect to be stranded at a rest stop during their recent trip to Malaysia's capital, only to arrive in the city after 12 hours. 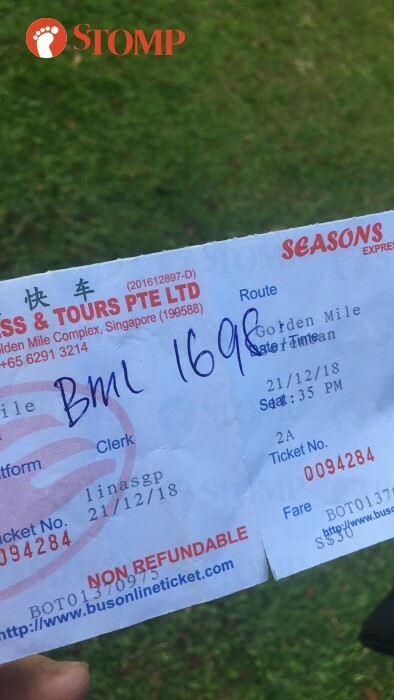 K told Stomp that she booked a seat on a coach operated by Seasons Express to depart from Golden Mile Complex at 11.35pm on Friday night (Dec 21). According to K, the passengers ended up having to wait until close to 1am. "We finally passed Singapore Customs at 1.30am but there was then a major jam on the way to Malaysia Customs," she said. "We cleared the Malaysia side at 4.30am." 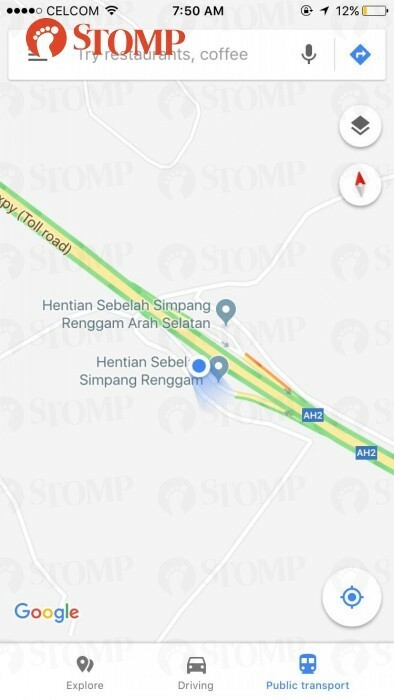 Thinking the worst was over, K and the rest of the travellers did not expect to then be stranded at the Simpang Renggam rest stop in Johor. "The bus driver asked us to alight at 6.20am at some ulu rest stop to change bus and left before the new bus arrived," she said. "He said the other bus was at Yong Peng and would reach to pick us up in about 30 minutes." Unfortunately, the bus ended up taking slightly more than two hours to arrive. "We made numerous calls to the other bus driver but they went mostly unanswered," K continued. "When he finally answered at 7am, he said he was not aware of the pickup and was arranging it with the bus company. "At 7.20am he said he would reach in 45 minutes to an hour. "We also called the bus company's Singapore office to no avail." The new bus finally arrived at the rest stop at 8.30am. K told Stomp she reached Kuala Lumpur at 12.15pm on Saturday (Dec 22). "I was supposed to meet up with a friend for breakfast at around 9 to 10am but ended up missing it as she was flying out that afternoon," she said. "I catered enough time for any jam but this time, the delay was totally unexpected. "It was an overnight bus ride so there was no wash-up or breakfast all the way until noontime. "Apart from being tiring, it also made me anxious especially when we were stranded for a while."